Advisor Herb White is the ultimate salesman: one who doesn't sell. 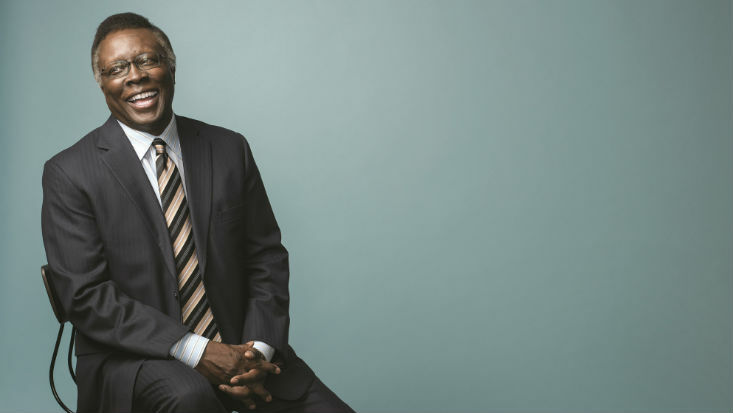 In geographical terms, Herb White’s years in the financial services industry have taken him almost nowhere. In fact, his entire career has taken place within a three-block radius. Nevertheless, the journey has been long, fulfilling and successful. Over the next few years, White began working toward his CFP, CLU and other designations, with an end goal of “understanding more about the tools at my disposal so I could better help people solve their problems.” In 2002, White decided he was ready to strike out on his own, so he opened his own planning firm. “And I still look forward to coming in every day,” he says. At first, White grew his business by conducting onsite educational workshops for nearby employers like the Red Cross or local utilities companies. Initially, the presentations were relatively simple, he says. “We would go in and explain the benefits they already had. We became well-versed in their specific plans so we could help explain them in detail and answer employees’ questions.” He describes how an employee who thinks he makes $50,000 a year based on salary alone is likely failing to consider the employer-provided health plan, 401(k) matching and other benefits that raise the actual dollar amount far higher. “So that would be our value proposition to the employer; that’s why they had us come in,” White says. White networked with local attorneys who would join him at these events to help answer additional questions that arose. But after several of these attorneys brought their own advisors to subsequent meeting with clients rather than working with White, he thought, “There’s got to be a better way.” Over time, he formed partnerships with local attorneys and brought them in-house, eliminating the risk of being left out. Today, Life Certain Wealth Strategies’ seventh-floor office is home to five advisors, three attorneys and a full administrative team. In addition, members of the practice meet regularly with a local CPA/tax specialist, a P&C specialist and other professional affiliates. Having access to such a broad knowledge base allows the firm to take a comprehensive view of each client’s situation, White says. “The way I view it, we must first have a complete understanding. Once I understand the broader picture, then I’m going to work backward to address each piece of it.” His initial discussions with clients cover topics ranging from budgets and tax mitigation to health care and potential caretaking responsibilities that could arise down the road. In the time since that conversation, White has experienced firsthand just how quickly life can change. Eleven years ago, his son passed away suddenly in his early 30s. White’s granddaughter, who was then two years old, came to live with White and his wife, and they have raised her alongside their own daughter ever since. White hosts a weekly educational radio series, writes numerous articles for local newspapers and websites and appears regularly on local televisions stations, all in an effort to spread the word about retirement preparedness and financial literacy. He describes the current influx of boomers entering retirement as “uncharted territory,” noting that “the onus for preparing for retirement has shifted from the employer to the employee,” placing much more responsibility on individuals to make the right choices. If you do end up becoming one of White’s clients, don’t be surprised if he pulls out his phone before a meeting to show off a video of his granddaughter’s uneven bar routine. Spoiler alert: She nails the landing.